This clever spy pen lets you write secret messages only revealed by the built in U.V. light! Write with one end of the pen on a piece of paper. 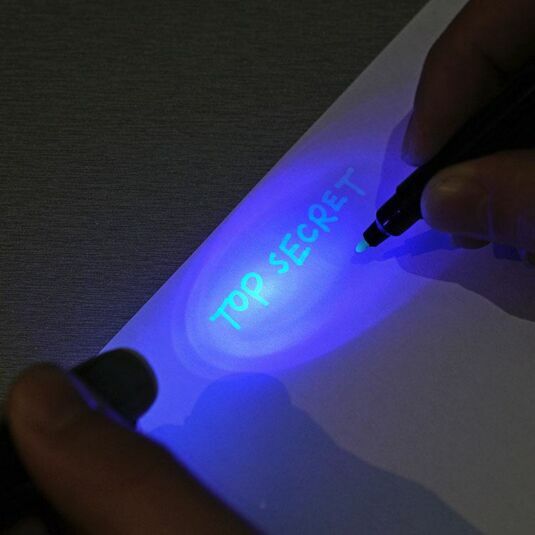 To the normal eye it will look like a blank piece of paper, then use the other end of the pen to shine the UV pen on it and the secret message is revealed. 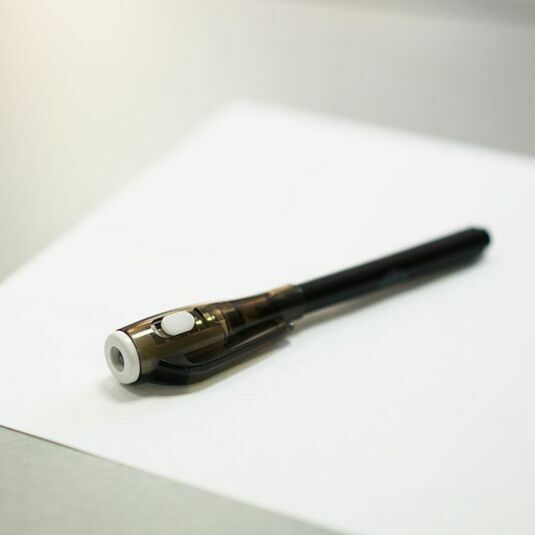 The UV light is cleverly concealed in the lid of the pen, and is operated using the switch on the side. The perfect gift for any budding spy! What will you write? !